Forum | PolishOrigins :: View topic - Poland - Alive Again. School presentation. Poland - Alive Again. School presentation. Posted: Thu Nov 05, 2009 7:08 am	Post subject: Poland - Alive Again. School presentation. 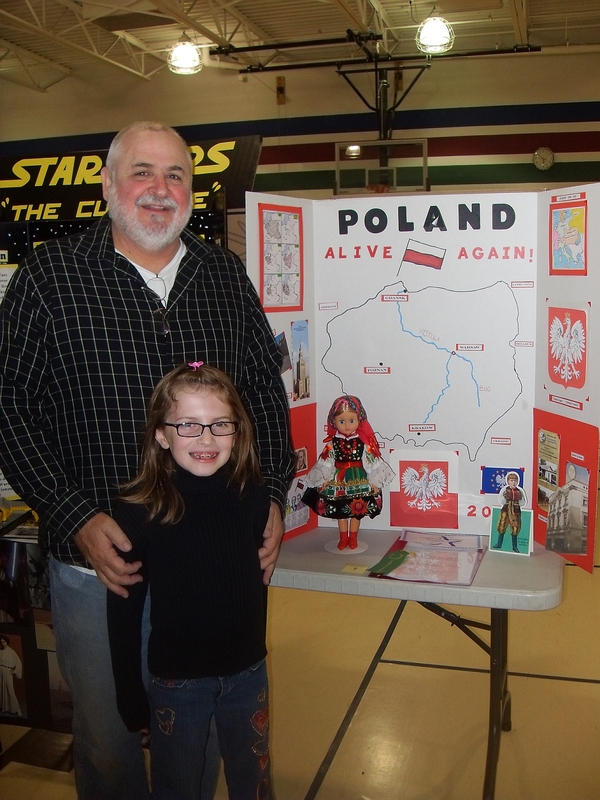 Emily, one of our PolishOrigins members James granddaughter, got a 2nd place in her school Social Studies Fair Project . Emily did learn alot about the history of half of her forefathers, which I thought was cool. )" James! How wonderful! Has she already presented at the next level? You must be so proud!! What a beautiful young lady! Thanks, Shellie, for your kind words and thoughts. Emily is a sweetheart. She is 9 yrs old, going on 30. She is the " Big Sister " , to 2 other sisters ( 7 + 5 ) and a younger brother ( 3 11/12 ), and she acts like a second Mom to them. She goes to District later this month. I'll update at that time. She thinks it is really cool to be on a web site , that is viewed by people all over the world. Congratulations on your project! I was so impressed to see such a young lady so interested in Poland. Your presentation looks very nice - no wonder the judges gave you such a high score. Thank you for educating your peers about our ancestral land. It is because of smart young people like you that Poland will continue to be "Alive Again." Your friend Shellie in Georgia. Thank you for your e-mail . I had fun doing the project and learning about Poland . Maybe one day I could visit Poland ! I enjoyed looking at your pictures in your blog . Poland looks real pretty from what I saw .